The Pacific Western Boundary Currents group began exploratory missions in the Solomon Sea with sub-surface ocean gliders, crossing the New Guinea Coastal Undercurrent in late 2007. This project was motivated by the inability of the large-scale networks to observe fluctuations of the equatorward western boundary currents, and by the centrality of those currents in the meridional exchanges that contribute to ENSO. The ENSO signal in this western boundary current is seen to be a first-order contribution to the equatorial mass and heat balance. 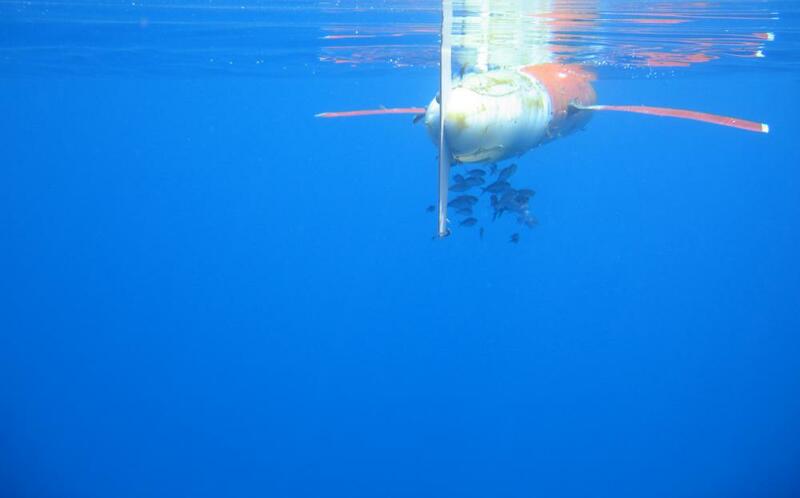 The goal of the glider research is to build a time series of ocean conditions and the water transport towards the equator through the Solomon Sea, for studies of the El Nino phenomenon. This is done through repeated round-trip glider transects across the Sea, usually launched from Gizo, Solomon Islands, and crossing to waters near Sudest/Rossel Islands, Milne Bay Province, New Guinea. The tracklines are irregular because the glider moves slowly and its path is partly controlled by the strong currents of the region. Each mission produces two coast-to-coast transport measurements, and the project has now built the time series to where they can confidently estimate the annual cycle and interannual variability.